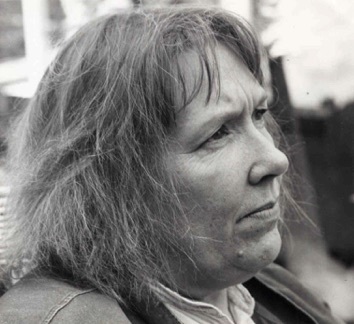 This non-profit site provides a freely accessible database of the plays of one of our great women playwrights, Pam Gems. Its purpose is to promote her work and, in particular, future performance of her plays. The site includes full texts of most of her major plays, including a number of mature works not yet performed. In many cases, full texts of plays and screenplays are available here, or are available via Oberon Books. For most of the remaining plays, you may be able to obtain copies of scripts via this website (admin@pamgemsplays.com). All rights for the plays are strictly reserved and application for performance etc. should be made before rehearsal to Rose Cobbe, United Agents. For some plays, further information (e.g. author’s preface, reviews, photos) are also available via a link. Down West 1967 (TV play). Discovering her husband’s infidelity, a mother of four vacations in Bournemouth, where she fucks a series of anonymous men - and a Martian. Where’s Joy? Early 1970s. Tensions turn into conflict within a Trotskyist group in early 70s London. [**] Download. Arthur and Guinevere Screenplay. Download. Piaf 2008 Donmar Warehouse, London. Shorter, 2008 version available from Oberon Books. Mrs Frampton 1989 (Novel) May and Vic Frampton pursue the English dream of retirement on the Costa del Sol. Semi-autobiographical. [***] Available from Bloomsbury Publishing. Maytime Screenplay adaptation of Mrs Frampton. Download. At the Window (Snowscapes) 1997 A representative of the Euthanasia Society investigates a would-be client, a woman in the prime of life and good health who is determined to die. [**] Download. Finchie’s War 2001 (Screenplay for television). Portrays the experiences of a Wren (member of the WRNS, or Women's Royal Naval Service) working in Pilot Training during the Second World War. Semi-autobiographical. [***] Download. Mrs Pat Original monologue version Download. Not Joan the Musical 2003 (alternative version, Café Society) Black comedy about two women, a beautiful and ambitious would-be writer, and a lonely accountant who worships her. [**] Download Not Joan the Musical. Download Café Society. Ethel (Broadway Lady) 2007 Musical celebration of the actress and foghorn Ethel Merman (1908-1984). [****] Download. Despatches (Feelings) 2009 Drill Hall, London. Dialogue between an elderly scientist and a young actress. [**] Download. Guin, for Guinivere A widow travels alone to a health spa high in the Alps, and looks back over her life. Semi-autobiographical. [***] Download. Marine A successful Australian film actress (c.f. Cate Blanchett) cultivates her fragile personal assistant until she takes wing. [**] Download. An Ordinary Woman A farmer’s wife in Provence is denounced by her neighbours to the Gestapo. [*] Download. Who Is Sylvia? A Soho madame recounts day to day events at her brothel, problems with protection provided by the Cypriot mafia and corrupt policemen. [*] Download. Sarah B Divine! 1973 Jeannetta Cochrane Theatre, London. Rivers and Forests 1976 Soho Poly, London. Cheri (Darling Boy) 2003. Download. Contact admin@pamgemsplays.com. Where plays have been performed, the venue of the first production is given. The remaining plays (which include some of Gems’s best) have never been performed. The ratings (1-5 stars) are those of the website author (David Gems). Many thanks to Marina Georgieva for help with website construction.